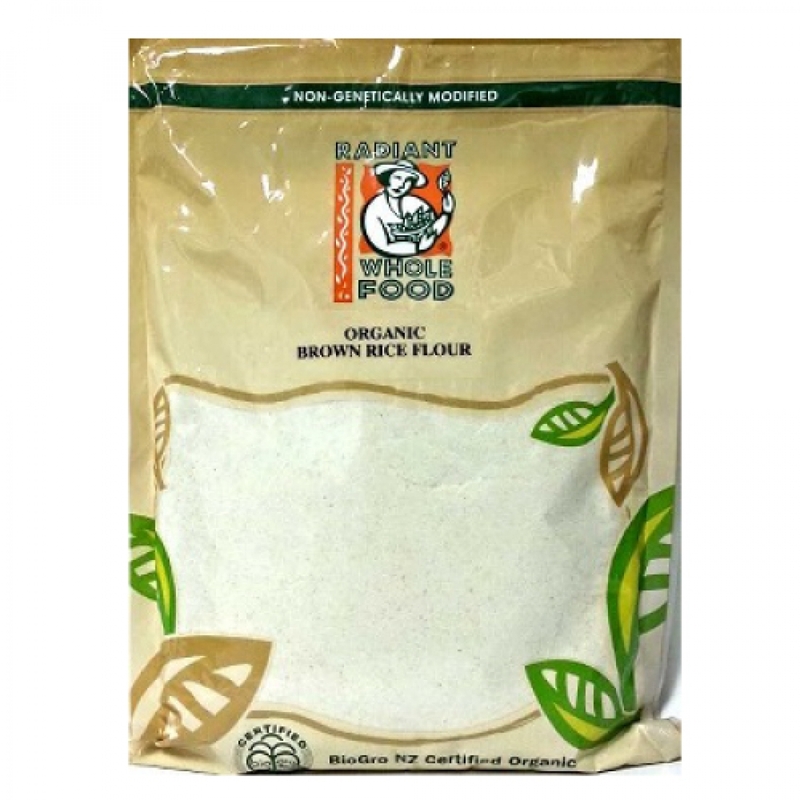 Radiant Organic Brown Rice Flour is produced by milling the whole grain into a fine flour. No further refinement or processing is then applied. This flour is made on traditional mill stones which protect nutrients and enzymes of the flour and retain the goodness of the whole grain. Brown rice flour is a nutritious alternative to wheat flour and is naturally gluten-free. It has slightly stronger in flavour than most commercially produced rice flours. Use in the making of noodles, as a thickening in sauces, porridge and mix with gluten-rich flour to make bread and pastries. Use in unleavened baked goods or mixed with wheat flour if leavening is used. Suitable for bread making and an excellent natural sourdough starter.